Trippie Redd’s new album A Love Letter to You 3, which was released on Nov. 9, is one of his best albums. In this album, Redd shows more of a softer side. Redd’s albums have been a hit or miss and this one turned out amazing. In all of his songs leading up to this album, the beat was perfect but the words in the songs ruined the mood. The thing about A Love Letter to You 3 is that it is Redd’s longest album and it stayed the most consistent. In his other albums, some of his songs weren’t consistent but in this album every song seemed to stay consistent. By consistent, I mean that every song has a beat that is similar. The biggest problem with this album is that there wasn’t a song that stuck out to me and became my favorite. The song “Topanga” was the closest standout song but it hasn’t stuck with me. It had a side of Trippie Redd that fans usually don’t hear from. It shows a softer side of him and that’s why it is my favorite; whereas in his previous albums there is usually one or two songs that stand out and I usually remember those ones the most. My second favorite song in this album is “1400/999” featuring Juice WRLD. Juice WRLD and Trippie Redd mesh well together and that’s why it’s one of my favorites. They feed off of each other and create a unique tune, because they are both similar in style. Some would assume listeners couldn’t tell the difference between them, but they both have a unique voice, and that’s why I think this is one of my favorite ones in his album. 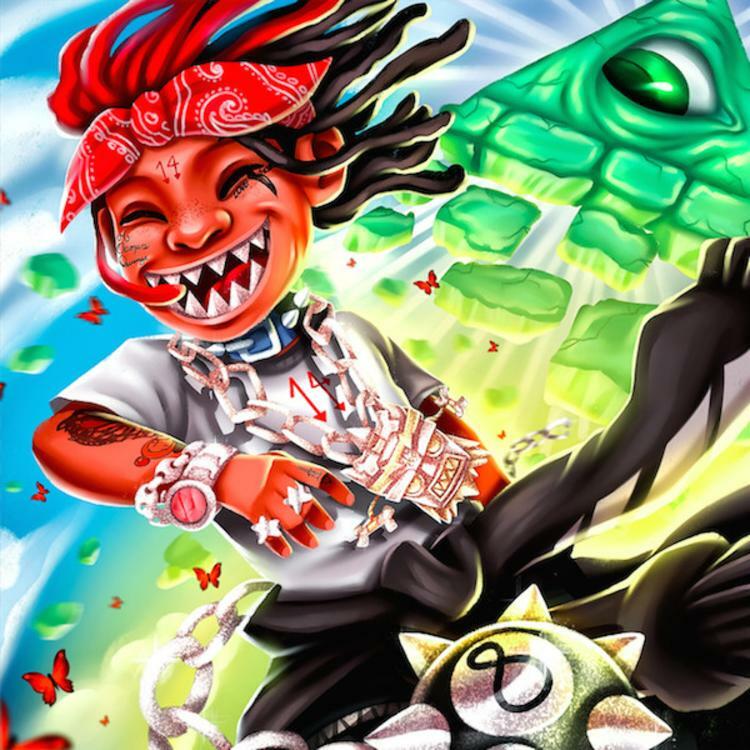 This 16-song album is one of Trippie Redd’s best ones yet. He shows off some different beats, and when he sings over them they mesh really well. This album proved that Redd will still be around for a long time and that he will keep making more music for years to come.